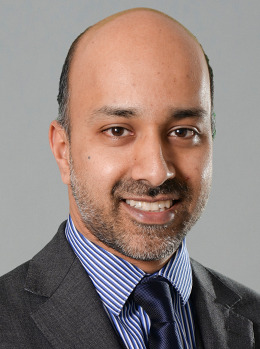 SURESH BHATT, a director of professional trustee company GC TRUSTEES, explains what charities have to do to achieve a dream solution for their defined benefit pension scheme woes by being able to insure their scheme. As if running or trying to run a successful charity was not hard enough, many of you will understand how much more difficult your job can become if your charity currently offers or has in the past offered defined benefit/final salary benefits to its employees. It can seem like a “black hole” for charitable donations. Deficits can increase employee anxiety about the security of their pension and the perception of the problems caused by these schemes may even prevent merger activity where that seems to be a sensible step for the charity. Unless a plan is in place to manage the pension scheme, what was established as a benefit for the employees can fast become a nightmare for all concerned. Broadly speaking defined benefit schemes of course do exactly that – they give members certainty about what benefit they will receive on retirement which alternatives such as defined contribution schemes cannot do. All things being equal, this is a great option for members. The issue for employers is that the burden is on them to make up any shortfall between the normal contributions they and the members make to the scheme and the defined benefit which has been promised to the member. Compounding this issue since these schemes were first established is the dramatic increase in the lifespans of people as well as the increase in legislation and regulation in this area. It is true that all employers who pay into defined benefit schemes would face these challenges. However, the impact on charities can be greater because of their not-for-profit nature, the absence of shareholders to raise extra cash and dependence on discretionary income (in the form of grants or public donations). At the same time, these schemes have helped charities to compete with the public sector for high quality employees, so it’s not surprising that they are so widespread in the sector. However, it’s not all doom and gloom! Many charities will have built up cash reserves and there are a number of ways to tackle what has become known as the “pensions problem” through appropriate investment strategies, contingent assets, liability management and proactivity. However, the ultimate end game will generally be to insure the pension liabilities, so it is key that there is awareness of how this option works regardless of the stage at which your scheme is currently at. Insurance is a concept that most of us are comfortable with. Many of us will be paying a specified premium to make up for a potential financial loss in the future, whether relating to our home, car or life to name but a few things. Whilst the terminology may be different, the way insurance works in the defined benefit/final salary pensions sector remains the same. The insurer will take the place of the pension scheme trustees and assume full responsibility for making payment of pension scheme benefits to all the insured members and their beneficiaries. The insurance policy is known as a “buy-out” policy. In exchange for a premium, an insurer will agree to take on all the risks that could otherwise lead schemes to suffer a loss in the future. In the absence of such a policy, charities will generally have to pay more into their pension scheme to fund members’ pension promises. The types of risks which are covered by the buy-out policy include members living longer than expected, inflation rising more than expected and investments underperforming. It is also worth noting that the strict capital requirements demanded by the Prudential Regulatory Authority which regulates insurers means that invariably a member’s pension will be more secure with an insurance company. Whilst we may be well used to using comparison sites to get the best deals for our personal insurance claims, as you may expect, the process is rather more complex for insuring pension schemes. There are also currently only 8 insurers in the market (although this is a vast improvement from around 15 years ago when there were only 2!). Although the increase in the number of insurers has increased the capacity for them to insure pension scheme liabilities, the number of schemes considering this option has also increased as pension schemes become more mature and more able to afford this option. To put this into further context, there are around 6,000 defined benefit pension schemes which hold around £1 trillion assets which are not currently insured. So even if you think insurance would be a good option for your scheme now, it is important to understand that the pensions insurance market is a competitive one and you will need to be proactive to make your scheme appealing to insurers. Expert advice and guidance is therefore vital at this stage. Larger well funded schemes generally are preferred by some insurers although it is possible for smaller to medium sized schemes to obtain competitive pricing. There are factors which are more likely than others to affect an insurer’s attitude to your scheme. These are the quality of member data, certainty around benefits being paid and the governance of the scheme (particularly around the ability to actually execute an insurance transaction). Before finalising its quote for insuring the benefits payable, the insurer will need to see the scheme’s data. There are several pieces of data including dates of birth, addresses, lengths of service, record of benefit options taken which are key to the insurer’s understanding of how it should price the insurance policy. CONCERN. If the data is not complete, the insurer will need to make assumptions, which will usually be on the prudent side (which in turn is likely to increase the overall cost). Any price given by the insurer will be based on the data IT IS sent to review. The Insurer will reserve the right to charge a further premium if discrepancies in the data are found that materially add to the cost of what IT expects to pay out to the insured members. Although trustees may have paid benefits to pensioners in good faith for a number of years, it is possible that over the years the practice of paying benefits has diverged from the strict letter of the rules or is indeed based on changes that were invalidly made. It is also important to understand that while trustees could exercise discretions about what benefits to pay, when an insurer takes over they cannot usually exercise discretion and so they need certainty on what the benefits are. A good example of the uncertainty insurers don’t like are benefit structures which guarantee the better of one basis over another, known as “underpins”. CONCERN. Any such discrepancies or underpins must be dealt with before the insurer takes over the running of the scheme. The certainty needed is usually obtained from the scheme’s legal advisers who produce what is referred to as a “benefit specification.” Importantly, if clarity is not given in relation to “underpins”, the price for insuring such benefits may be prohibitively expensive or even uninsurable. Removing underpins to give this certainty can also be a complex legal and actuarial process, so giving time to plan such projects is always advisable. The insurer will effectively be taking over the running of a pension scheme so schemes that have good governance arrangements will give insurers more confidence. This means things such as appropriate advice being taken by trustees at the right time, well documented decision making procedures and responding to insurers’ queries in a timely manner. Evidence that the pension trustees and charity are united in agreeing this option will also help the insurer’s belief that the deal will run smoothly. CONCERN. If an insurer does not see evidence of the above it will invariably feel less confident about what it is taking on. It will perceive an increased chance of “surprises” appearing out of the woodwork which it has not priced for. The insurer may also begin to doubt the seriousness of the trustees in wanting to transact. As mentioned above, insurers have a number of schemes to deal with and with finite resources, they will need to make decisions on whether to proceed with quotations with particular schemes or not, particularly if they feel schemes are wasting their time. Whatever stage pension schemes are at, considering the above points will serve charities and pension scheme trustees well in managing their pension schemes. Whether in the short, medium or long term, insurance will be the option taken by the majority of schemes to discharge their liabilities. The ability to cap off the risks that defined benefit schemes can cause to charities, particularly given changes in SORP about recognising these liabilities can be invaluable. GC Trustees’ Suresh Bhatt – the types of risk which are covered by the buy-out policies include members living longer than expected, inflation rising more than expected and investments underperforming. "In exchange for a premium, an insurer will agree to take on all the risks that could otherwise lead schemes to suffer a loss in the future." "…it is important to understand that the pensions insurance market is a competitive one and you will need to be proactive to make your scheme appealing to insurers."